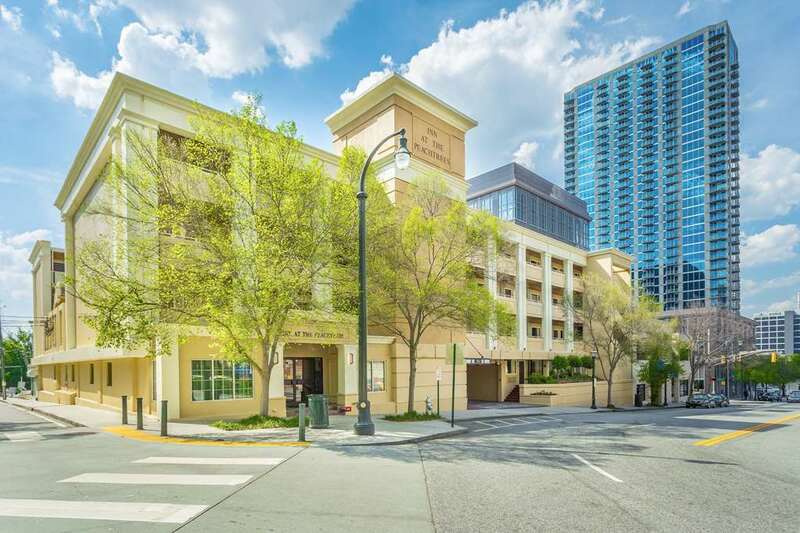 This hotel enjoys a fabulous location in the heart of downtown Atlanta. The World of Coca-Cola, Georgia Aquarium, and the famous Fox Theatre are all within easy walking distance, while the Martin Luther King Jr National Historic Site and Jimmy Carter Library can both be reached in under a five-minute drive from the hotel.The sleek and modern guest rooms feature a range of useful amenities including refrigerators, coffee and tea makers, and spacious work desks. Guests can get a workout in the 24-hour gym, make use of the business centre, or simply relax in-room with the flat-screen television and complimentary Wi-Fi. The hotel boasts a meeting room and banquet hall with over 195 square metres of event space, making this the perfect setting for a business or social function. Guests might also take advantage of the hotel's free hot breakfast with Belgian waffles, eggs, and biscuits and gravy.